Videocon has always been a big name in the Indian electronics market. In the recent years however they have not been so popular and have been over shadowed by other manufacturers in all departments. To add to their reputation they have launched a new series of smartphones one among which is the Videocon A53, a budget smartphone. The features of the phone are listed below. 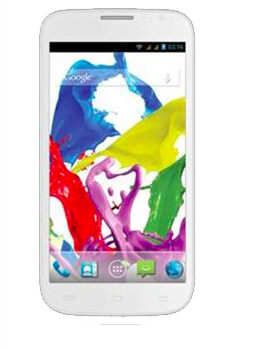 Screen: The Videocon A53 has a 5.3 inch capacitive touchscreen with a qHD display and a resolution of 960 x 540 pixels. Processor: The A53 works with a 1.2 GHz Dual Core processor. Memory: The A53 sports 768 MB RAM and 4 GB of internal storage memory. The storage memory can be extended by 32 GB using an external memory card. Network Connectivity: The phone can connect to 2G as well as 3G networks. The phone also has Bluetooth and USB connectivity and can also connect to Wi-Fi networks. Camera: The A53 carries an 8 MP back camera with LED flash. To add to this there is also a 1.3 MP front camera enabling video chat. Battery: The phone runs on a 2000 mAh battery that provides sufficient battery back-up. Operating System: The A53 has the Android 4.0 (Ice-Cream Sandwich). Our Take: You can get budget quad-core smartphones at the same price which have a better RAM and run on Android 4.1/4.2 Jelly Bean. According to us, this smartphone is not really a smart buy. Well it can be easily seen that smartphone market is getting heated up day by day and local brands are dropping prices by few hundreds each day. Although it can be said that it is beneficial for the customer in the end but at the same time multinational brands like Nokia, Huawei, Sony, LG have also launched their products at the similar price points and are continuing it with new launches. And therefore it will become more and more difficult for local brands to survive in the longer run because of lack of quality, reliability and after sales service issues. None of the phones (other than the branded companies like Nokia, Samsung, Sony, HTC etc) have multiband 2G and 3G network compatibility. All Videocon phones support only 900 and 1800 MHz 2G frequencies and only 2100 MHz 3G frequencies. Note this point before buying. It may not work in all networks worldwide !!!. What are you coming to say?.Branded phones are better. Daei ankit. Enna daa solla vara?.